Recently I have been asked by a few different guys to do a post on here about men’s fashion. I know that this is a women’s fashion blog, but I thought this was a really great idea! It gives me the opportunity to try something a little different. I also see that some of my followers on here are men, so this post is for you!! Also, if there is anytime that I come across something for men’s fashion that I want to share then I will definitely make a post about it. 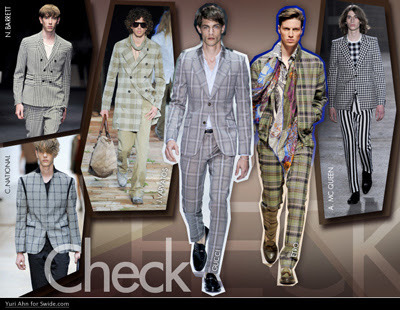 When searching online for photos of my picks for style icons, I came across the site fashionbeans.com and found these great collages. They have a lot more style icons on there with an in depth description and breakdown of each and how to get their look. So if you want to know more about any of these guys, I suggest checking out that site for more details. And the one for Scott I put together myself. Here are 5 of my favorites in no particular order. I hope they give you some fashion inspiration. 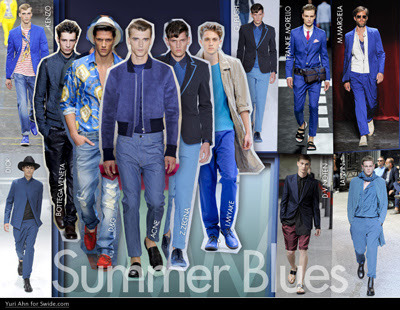 Whether he’s in a tuxedo, trousers or a pair of jeans he is all about a slim cut. 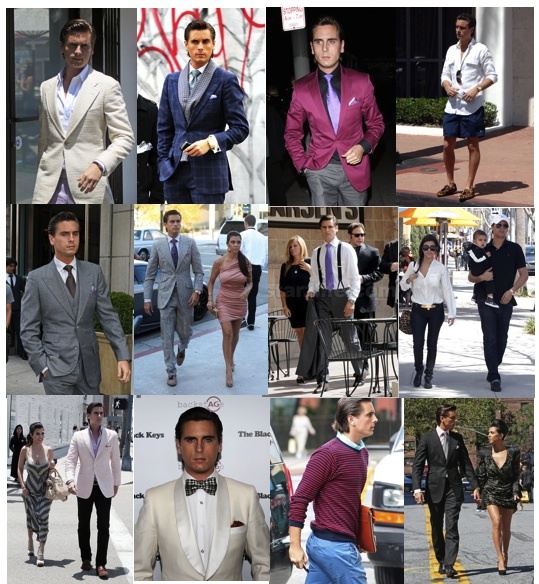 His style has evolved through out the past couple of years and he knows how to dress simple and be refined. I love his casual looks just as much as his formal ones. Everything he wears fits his body type and he knows how to switch it up. I love the way he dresses. Love him or hate him, the guy can dress, hands down. Kourtney is actually one of my top female style icons so it was only right for me to list Scott as one of my picks for male icons. He’s known for wearing bold suits but he also has casual looks on lock. He makes it look easy. He takes “preppy” to another level. 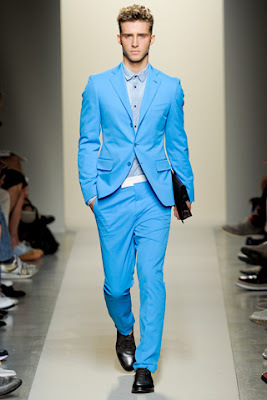 He plays Chuck Bass on Gossip Girl and just like his character, his sense of style is right on point. He knows how to dress sharp but he still keeps it edgy. His casual looks are mostly about v-necks and graphic tees paired with some slim jeans and sometimes a blazer or leather jacket. And when he dresses formal, it’s all about a nice tailored suit, pocket square and tie. I love that he wears whatever he wants whenever he wants. To me that is the true definition of style. You don’t have to follow the rules, you create your own and set trends. And he’s great with accessories, whether it’s a scarf, bow tie, or a pair of glasses, he knows how to add that extra touch to his outfits. He’s very versatile. 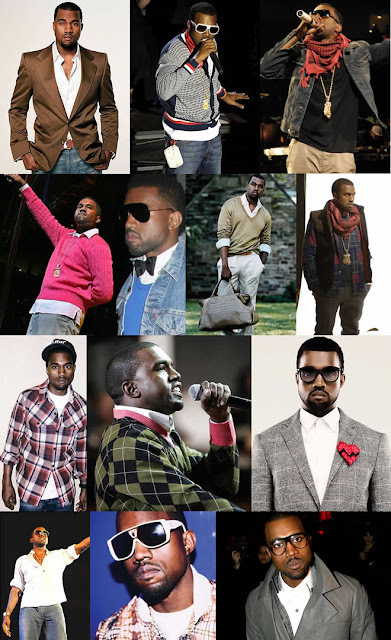 He’s another one who’s style has changed over the years and I really like what I am seeing from him. Whether he is dressed up or dressed down, he always looks put together well without trying too hard. That is definitely the key. He keeps it simple and makes statements in a more subtle way. Just like the site fashionbeans said “His appearance appears both classically tailored and yet the epitome of the modern man” and I couldn’t agree more! Do you guys agree with my favorite style icon choices? Who are some of your favorite best dressed men? 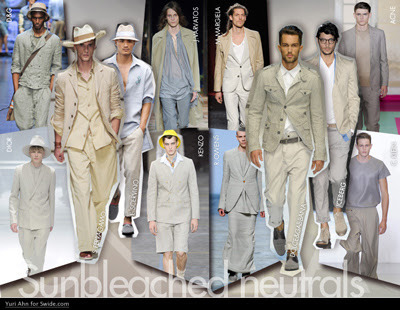 The color scheme for men has definitely expanded. 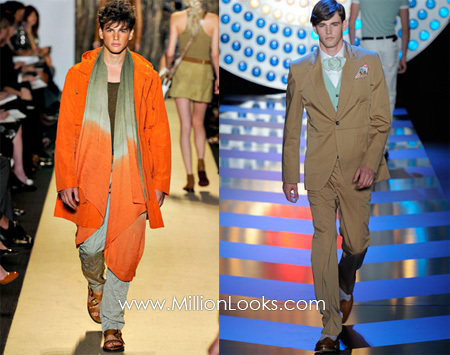 Just like for women, there’s going to be a lot of bright & bold colors like orange and vivid blues. 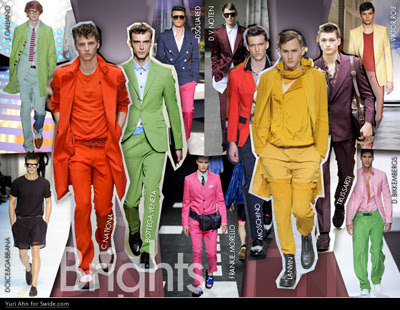 You can create outfits sticking to one particular color or be a little more daring and create a combo of different hues. 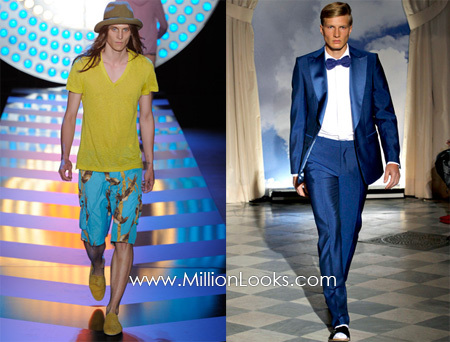 Just like bold colors, you will be seeing a lot of bold prints. 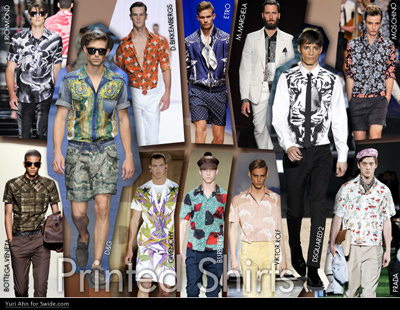 Stripes, plaid and checks will be very popular as well as tropical printed shirts. If you are a little more daring and fashion forward, I suggest you experiment with this trend! I think the best way to add some edge to your outfit is with a leather/biker style jacket. You don’t have to stick to only black either. Another way to go is rocking a suede jacket. 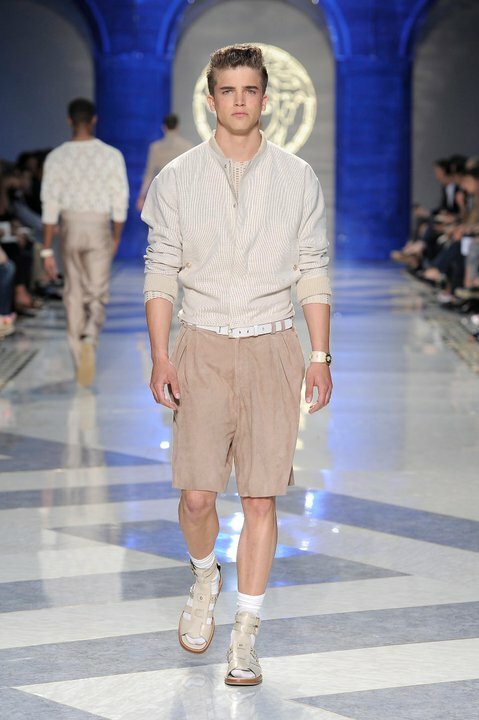 They were huge on the runway and made a real statement. 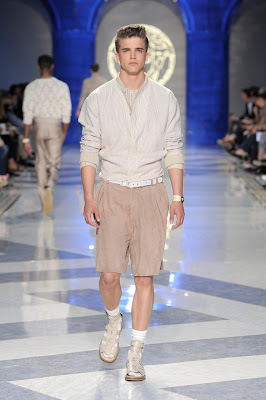 They will give your outfit a nice relaxed look. 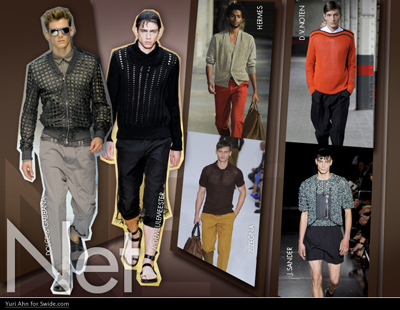 See through mesh knitwear is like the male version of lace. 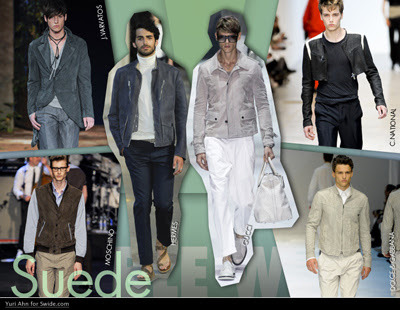 Just like lace is a huge trend for women, so is mesh for men. They’re a great way to keep cool and show a little bit of skin on those warmer days. In the NET photo collage, I love the look of the mesh jacket over a button down. It’s a different look but I like it. Of course there are other trends but these are some that stood out to me. Do you think you will be trying out any of these? 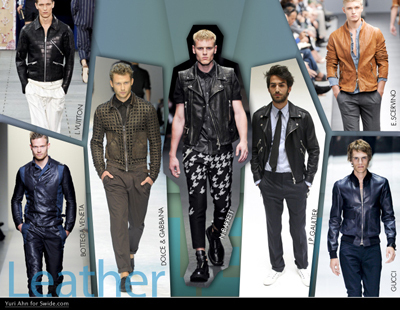 I hope you liked my first post on men’s fashion! Let me know what you think!